As soon as Clothing Tall Men received a note from an anguished (or at least mildly disappointed) reader noting the difficulty of finding tall (not big) cargo pants, we swung into action to see what we could find. Originally used by the British army, cargo pants are frequently called combat trousers and have also evolved into a version called tactical pants that are widely used by police. The main feature is an extra set of large pockets on the legs for carrying equipment - originally for medical supplies, now for important things like smartphones. Although the original color was khaki, there are now variations in browns, greens, blues and black. So here's the bad news. 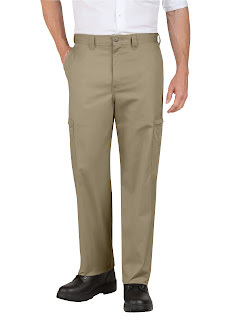 If you're slimmish and need anything longer than a 36 inch inseam then as far as we can tell right now, your choice appears to be limited to the no-nonsense Dickie's Industrial Relaxed Fit Cotton Cargo Pant. It also comes in cotton/polyester and Tactical rip-stop versions that really are work-wear not casual wear but I guess that's the point of cargo pants. There are straight and relaxed fit variations and four colors. For the longest inseam, you will need to choose UL, which is an unhemmed 39 inch inseam that should give a little over 38 inches if hemmed carefully. That option is available in waist 30 - 38 inches. Perhaps the best news is that these are cheap! Around $40 for a pair of tall pants in cotton is not a bad thing and they look pretty solid according to the specifications and the reviewer comments. You could also try the Tactical Cargo Pants from Tru-Spec. These basic tactical pants are constructed with cost in mind but still didn’t forget the needs of the wearer. They are available in Big & Tall sizing that offers unhemmed inseams up to 42” long in waist sizes from 28 inches to 60 inches. They are definitely on the work-wear side, with tough cotton/polyester construction and plenty of seams. Other styles from Tru-Spec have unhemmed styles up to 37 inches inseam. 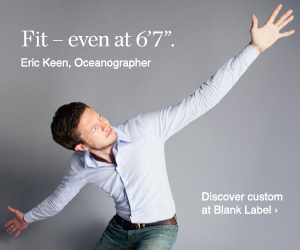 For those who have the luxury of needing "only" a 36 inch inseam and a normal waist, you are spoilt for choice. Which, for tall people, means having a choice at all. Read on for more details. And for those who need a longer inseam but have a larger waist (classic Big & Tall) we've also highlighted a couple of options for you below. 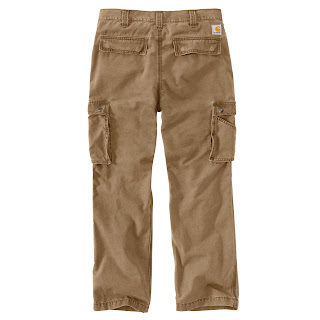 Carhartt's Rugged Cargo Pants are "primed for the man whose life takes him far, far away from a desk-bound nine-to-five. Sturdy, 8 oz. cotton canvas is outfitted with a relaxed fit through the seat and thigh, secure pockets aplenty, and straight leg openings that fit easily over boots". Sierra Trading Post and Zappos both have discounted items, while the latest range can be bought at full price on the Carhartt website. Stretching the definition of cargo pant a little further, Columbia is always worth checking for outdoor styles in a 36 inseam for tall sizes. 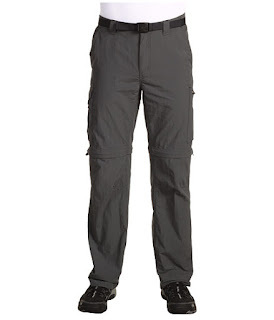 The Silver Ridge Convertible is a cargo pant that zips off at the knee to convert to shorts. Omni-Wick™ fabric moves perspiration away from the skin to dry quickly on the surface and the material protects your skin during outdoor activity by blocking harmful Ultraviolet A and Ultraviolet B rays. Dockers was one of my first ports of call to check for cargo pants but their Big & Tall section is exactly that, offering waist sizes from 38 inches only, earning them a place in the Tall Hall of Shame for such a major denim / khaki brand. However, there are some 36 inch inseam options for anyone seeking a waist of 34 inches or above. You won't have the pleasure of choosing some smokey hazelnut pacific washed athletic tapered pants but the Crossover Cargo does have some 36 inch inseam options. At the pricier end of the spectrum, Eddie Bauer's Men's Legend Wash Cargo Pants come in a classic fit with seven creatively named colors (basically khaki, olive and brown). They do have a 36 inch inseam and also a longer rise than the shorter sizes, which I always like because too-short zips on trousers are kind of useless and possibly a health hazard. These all-cotton cargo pants are treated to Eddie Bauer's exclusive "Legend Wash" that retains all their rugged durability, while making them soft and comfortable right from the start: no break-in period required. Definitely not industrial! If your waist size is 36 inches above then you're in classic Big & Tall territory and you'll find options in various of the usual outlets. To get you started, try Dockers (see above) where there are various styles in 38 inch inseam or Destination XL's own brand True Nation® Bellowed Cargo Pants that come in a wide range of waist sizes and long inseams.